Today (2/23/14) we donated a new Apple iPad computer to the Dominica community of Bioche to help raise funds for repairs at the fishing village and start up of sustainable agricultural projects. Bioche is a small fishing village of about 200 on the North West coast of Dominica. I am normally discussing vintage computers here on the blog but this project is part of a mission visit representing "The Foundation Amateur Radio International Service" (FAIRS). My wife Gaynell and I represent FAIRS as directors and have made many visits to Dominica and other countries during the past 22 years. My amateur radio friend in Dominica - Clement Pierre Louis J73CPL- called and told us about the new project in his home village of Bioche to work toward self sustainability by the community. Clement ask if our foundation could help as sponsors a donation. 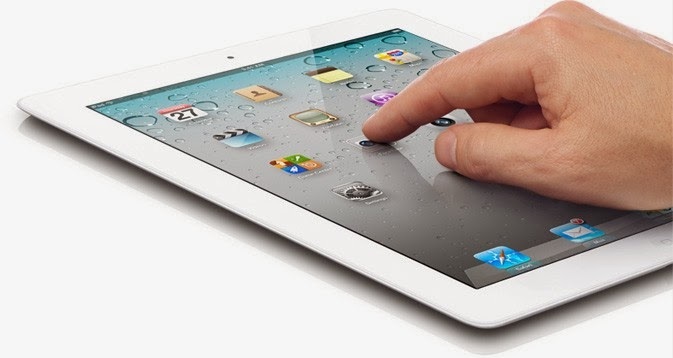 The idea of the Apple iPad donation is to raffle it and use the funds for the project. They expect to get many more sponsors during the next few months before ending in July. In July they will have a big gathering with members of the community living there now and those who will return for a visit and provide project assistance. The village has no funds for these projects and are moving ahead by raising funds and assistance on their own to develop sustainable agricultural of raising chickens and pigs. Most of the meat is imported and it only seems natural to grow your own & sell to the public. It seems very reasonable that chickens and pigs could be raised here -- many individuals already grow these animals for family consumption. I learned that some processing facilities are already in place. The government has facility for butchering pigs and other animals. Also near bioche is a new fish processing coop that was built in 2011 by grant from Japan. I visited the coop today and it is real nice and could possibly be used for chicken processing - freezing and marketing. The prospects look good for a successful project if the folks come forward with determination and persistence. Video of presentation at bottom of blog. The welcome sign for the reuniting family and friends for support of the Bioche sustainable agriculture projects. A view to the North from Bioche boat landing. A view to the South from Bioche boat landing. Committer members LR Gaynell Larsen KK4WWW/J79WWW & FAIRS Director, David Larsen KK4WW/J79WW & FAIRS Director, Mr. Ambrose Hilton Chairman, Honorable Parliamentary Representive Ronald Toulon, Clement Pierre Louis J73CPL. Presentation of iPad to Ambrose. Leone Adams presented a wonderful fish to David and Gaynell as a show of gratitude. Hetty Pierre Louis prepared part of the fish for dinner the next night. It was really good and everyone enjoyed eating the gratitude fish. You could help with this project with a donation or maybe visit Bioche and share your farm expertise. 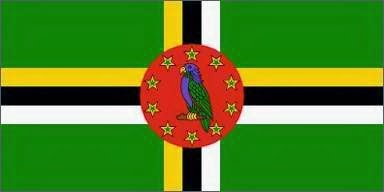 Dominica is a beautiful nature island - and small 30 by 15 miles. Nice and warm all year long. Take a look - here is a video I made on our first day visit to the Capital Roseau "VIEW CLICK"
We have a number of other mission projects to help with while here in Dominica. Tomorrow we deliver medical supplies to several doctors and clinic's. On Thursday we have visit to the Dominica's indigenous people - properly known as the Kalinago - village to work with the youth. Friday we plan to have lunch with the US State Department Peace Core workers. Their are 16 Peace Core folks here on the Island.